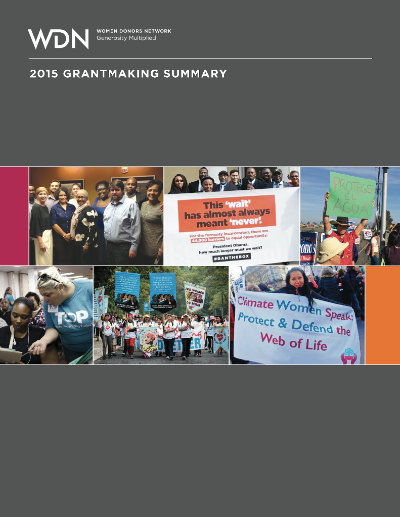 Click to download a copy of our 2015 Grantmaking Summary! This includes the incredible work of our Donor Circles, our Reflective Democracy Campaign Innovators, and our new Jean Hardisty Catalytic Impact Fund. We are so excited for 2016, and we look forward to another wonderful year of learning and action! To learn more about our network of progressive women philanthropists, please contact Jenifer Fernandez Ancona.